You invest a lot of time looking after your dog to keep it in tip-top condition; making sure it’s getting the best food, exercising regularly and taking care of its appearance. Oral hygiene, however, can often be overlooked. 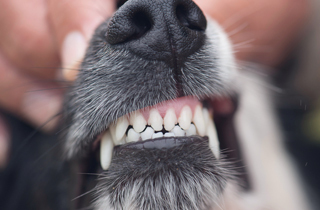 Read on to learn more about taking care of your dog’s teeth and gums. When puppies reach their teething stage, from two to nine months of age, you’ll notice they start to chew everything in their path. They may also display signs that are out of character like whining and aggression, and could even have bleeding gums. 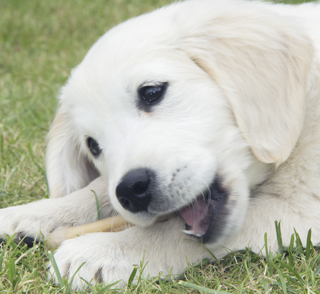 To help your puppy through this stage of its development, safe chew toys are great for keeping its mind off chewing what it shouldn’t, and will gently clean teeth and soothe sore gums at the same time. 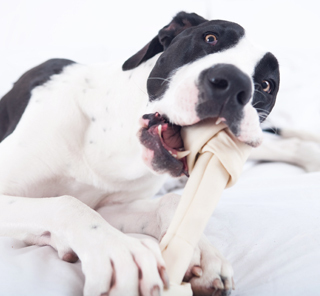 As with your own teeth, your dog’s teeth obtain a build up of plaque that needs to be removed. 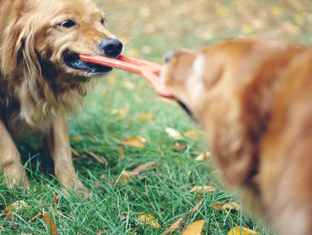 While dog toys and specialised dental treats will help improve dental health with chewing, there is no real substitute for brushing your dog’s teeth. 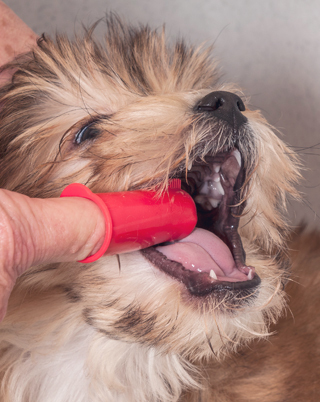 Start by getting your dog its own toothbrush, and slowly get them comfortable with you placing it into the mouth and carrying out the brushing action. 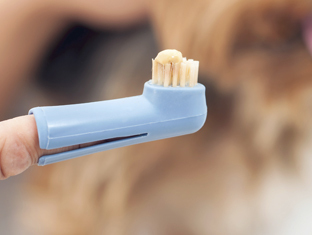 If you have a reluctant dog, or one that tries to chew the end of the toothbrush, you might find a finger toothbrush easier to use. Once happy with the brush, add specially formulated toothpaste. 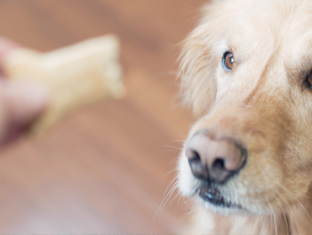 To help your dog get used to the new taste, apply a small amount to your finger first so it can lick it off. Gradually phase in the brushing and try to carry out at least once a week for best results. 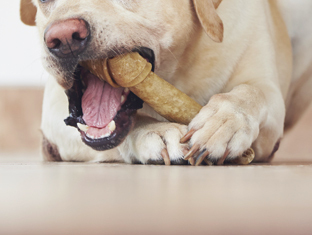 Brushing your dog’s teeth is arguably the best way to remove plaque and tartar, but there are also various dental treats and special diets which are designed to help improve overall oral hygiene. 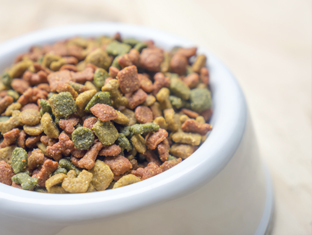 While treats are a good supplement, as they encourage chewing, if you start giving them to your dog regularly it’s a good idea to reduce the portion size of normal food slightly, so your dog doesn’t gain weight. 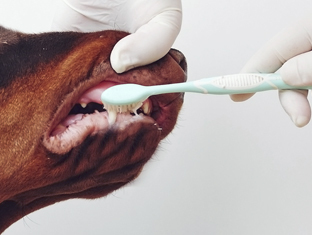 As well as looking after you dog’s teeth at home; you should visit your vet at least once a year for a thorough check up.